Library bingo rolls on! This week’s highlight is reading a book about geography or travel. Here’s some great reads that’s perfect for a weekend at the beach. Look to Tony Horwitz for insightful travelogues such as Baghdad Without a Map, Blue Latitudes, and A Voyage Long and Strange. Each weaves history, culture, and travel into an enlightened mosaic. 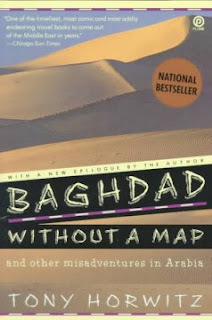 Horwitz first gained notoriety in travel writing with Baghdad Without a Map where he eviscerates long standing clichés and offers up an exasperating example of trying to get an interview with Libya’s then leader, Muammar Gaddafi. 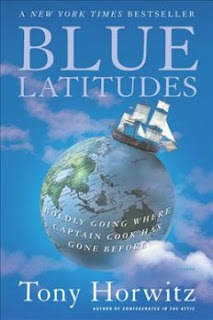 In Blue Latitudes, Horwitz follows in the wake of James Cook’s epic voyages. Horwitz explores not only seafaring in Cook’s time, but also the legacies, dubious as they be, that Cook left behind. 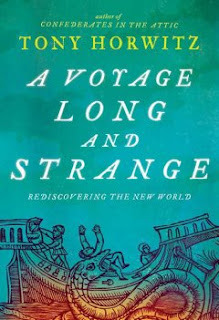 In A Voyage Long and Strange: Rediscovering the New World, Horwitz reexamines the “discoverers” of North America, what they went through, and how they shaped each geographic corner they encountered. A fascinating and startling read. 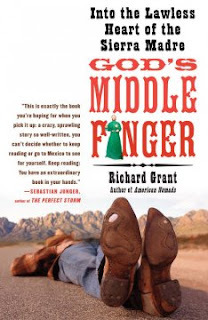 Another take on travel gives us the adventures of Richard Grant, author of God’s Middle Finger, American Nomads, and Dispatches from Pluto. Grant writes from the point of view of the not-quite hapless British traveler and infuses his adventures with a gimlet eye. Also worthy to find are books by Pico Iyer, Redmond O’Hanlon, and Geoff Dyer.